One of the questions I get asked the most, without doubt, is “What should I do while I’m in Salt Lake City?? Whether you’re from SLC, here for a few days, or passing by, I’ve decided to compile a list of the best and greatest things to do in Salt Lake City. Salt Lake City has incredibly diverse and well rounded offerings! 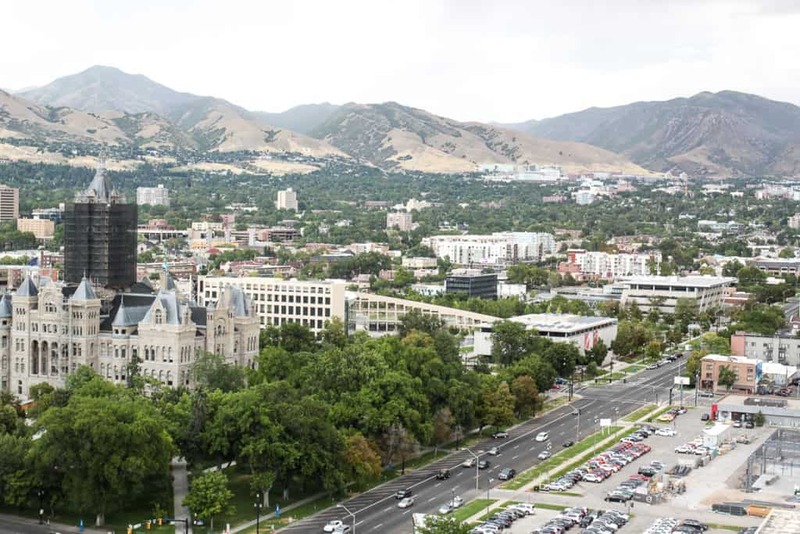 From the nearby mountains to the ever growing restaurant scene downtown, to popular celebration of the arts, there is something for everyone in Salt Lake City. Several out-of-towners often underestimate the endless amount of things to do in Salt Lake City, Utah’s Capitol. As a local and lifetime resident of the Beehive state, I was excited to write this list because I’ve seen, tasted, and explored these spots! In this post you’ll find a few main categories highlighting, what I feel, are the best things to do in Salt Lake City: history, the great outdoors, shopping, restaurants, skiing & snowboarding, volunteering, entertainment & the arts, seasonal events, scenic drives, and miscellaneous. Please note that this list is organized in no particular order. Enjoy! 101. Temple Square– One of the most iconic and historically significant things to do in Salt Lake City is to visit beautiful temple square, the headquarters for members of the Church of Jesus Christ of Latter Day Saints and home to one of the oldest temples in church history. 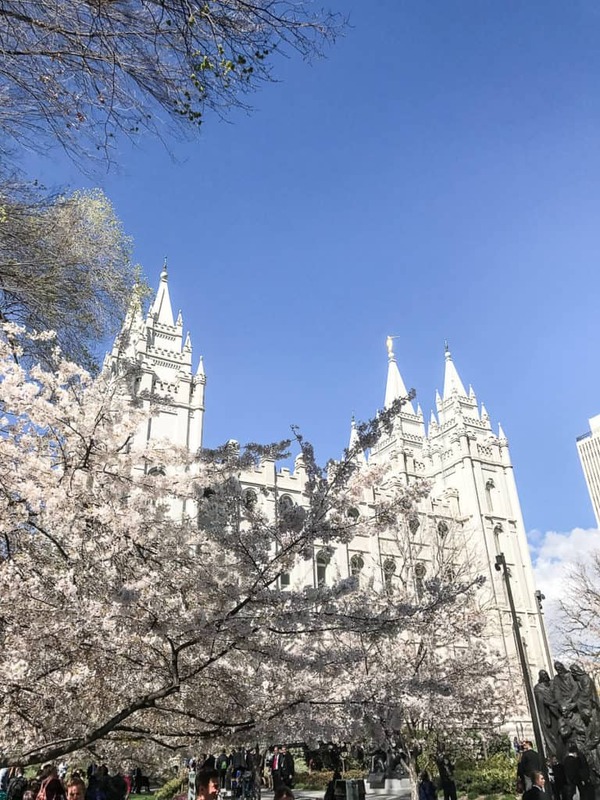 There are free tours of temple square daily, or, if you aren’t interested in an organized tour it’s an absolutely beautiful place to walk around and enjoy the grounds year round. 100. Pioneer Memorial Museum– Located at 300 N Main Street in Salt Lake City, the Pioneer Memorial Museum houses the world’s largest collection of artifacts on one subject. Admission is free of charge and the museum is opened Monday through Saturday. 99. Family History Library– People are attracted from all over the world to come to Salt Lake City and complete genealogical work at the Family History Library- the world’s largest genealogical library in the world! The library provides experienced guides, genealogists, and collections that can help you with your family history, all free of charge. 98. Conference Center– The Conference Center is home of the twice-yearly general conferences of The Church of Jesus Christ of Latter-day Saints. Other Church and civic events, including concerts of the Tabernacle Choir, are held throughout the year. Tours of the conference center are available daily from 9:00 a.m. to 9:00 p.m.
97. Music & The Spoken Word– The Tabernacle Choir at Temple Square traces its roots to a small choir which performed for the first time in August 1847, just one month after the first pioneers arrived in the Salt Lake Valley. Since then, the Choir has grown to be one of the world’s most recognized and revered musical organizations. The choir sings at large church events, including general conference, but you can listen to modern and traditional arrangements of spiritual, patriotic, popular, classical and contemporary music every Sunday at 9:30 a.m. (with exceptions due to performances), free of charge. This is unquestionably one of the most iconic things to do in Salt Lake City. 96. 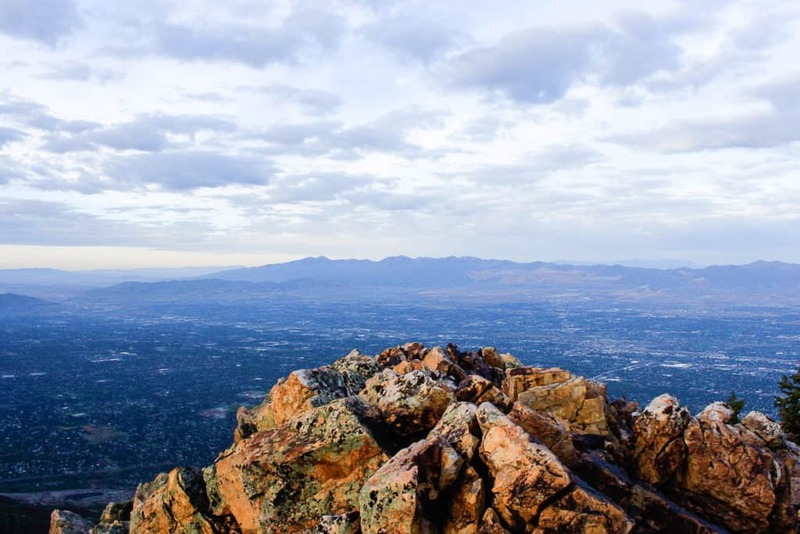 Ensign Peak– Bring good walking shoes for this short yet steep hike from the foothills of Salt Lake City to see what Brigham Young saw when, in 1847, he climbed this hill and gave it its present name. This was also the location where Brigham Young plotted out Salt Lake City, with temple square in the center and the organized grid system we still use today. 95. The Beehive House– Full of rich history, this beautiful building was once home to the second president of the Church of Jesus Christ of Latter Day Saints, Brigham Young. The beehive motif was placed atop the structure to symbolize the strong sense of community and diligent work ethic of the members of the church called to settle the West. You can schedule a free tour year-round to take a look inside the Beehive House. 94. 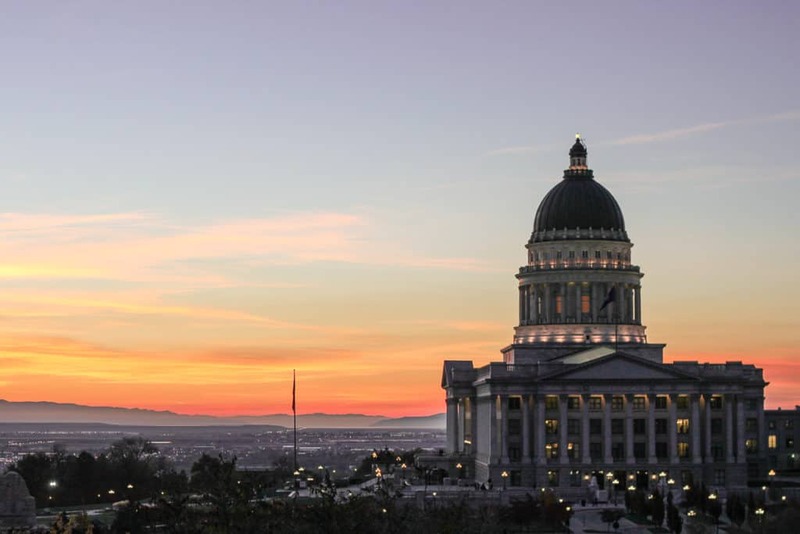 The Utah State Capitol– Take a tour of the Utah State Capitol, the beautiful house of government for the state of Utah. 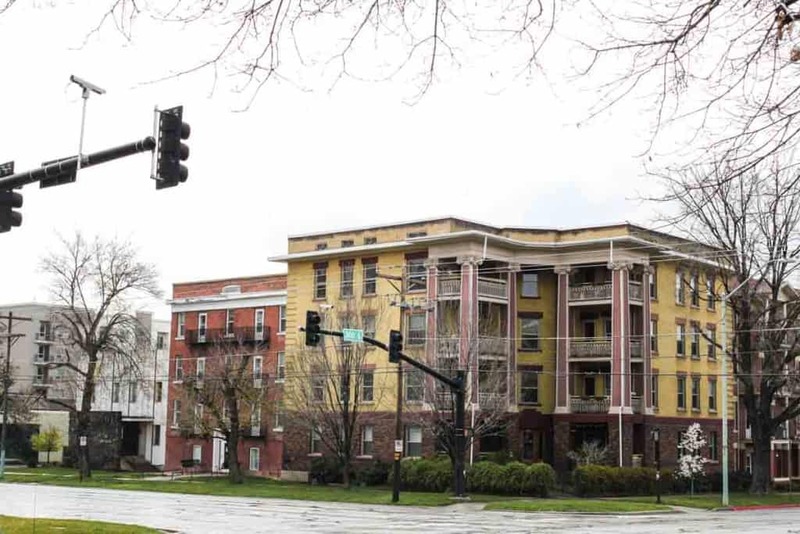 Built between 1912 and 1916, this Corinthian style building sits atop one of my favorite neighborhoods in Salt Lake City, Capitol Hill. You can walk the capitol grounds or better yet schedule a free tour, Monday thru Friday. 93. This Is The Place Monument– Near the mouth of Emigration Canyon, the This Is The Place Monument celebrates the location where Brigham Young first saw the Salt Lake Valley and proclaimed that it was the final destination after Pioneers had travelled by foot for a journey of 1,300 miles. You can visit the monument and its accompanying visitors center 7 days each week. 92. Cathedral of the Madeleine– This beautiful Roman Catholic church in Salt Lake City was completed in 1909 and serves as one of the oldest operating cathedrals in the valley (St. Mark’s Episcopal Cathedral was completed in 1871). The Cathedral of the Madeleine is the only cathedral in the United States under the patronage of St. Mary Magdalene. 91. Salt Lake City Bucket List (100 Restaurants)– Eat your way across 100 restaurants on the Wasatch Front, trying every worthwhile spot like a true Salt Lake City foodie. 90. Top 10 Places To Eat In Salt Lake City– Of all the things to do in Salt Lake City eating delicious food is always at the top of my list! Here is a list of my top 10 current favorites. 89. Best Breakfast & Brunch In Salt Lake City– Because there is nothing better to start the day with delicious brunch! Check out my list of 15 favorites. 88. 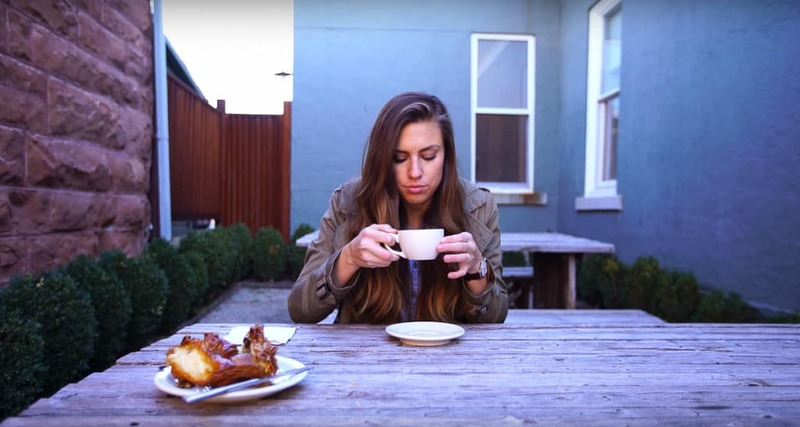 Top 10 Bakeries in Salt Lake City- If you’re anything like me, I live for carbohydrates. Here is my tried and true list of the best places for baked goods in the city. 87. Top 15 Burgers in Salt Lake City- From the old standby’s to new and outrageous, this is our list of top picks for the best burgers in SLC. 86. Top 10 Salads in Salt Lake City– Because there is always that friend that loves a good salad. Or maybe that friend is you! 85. 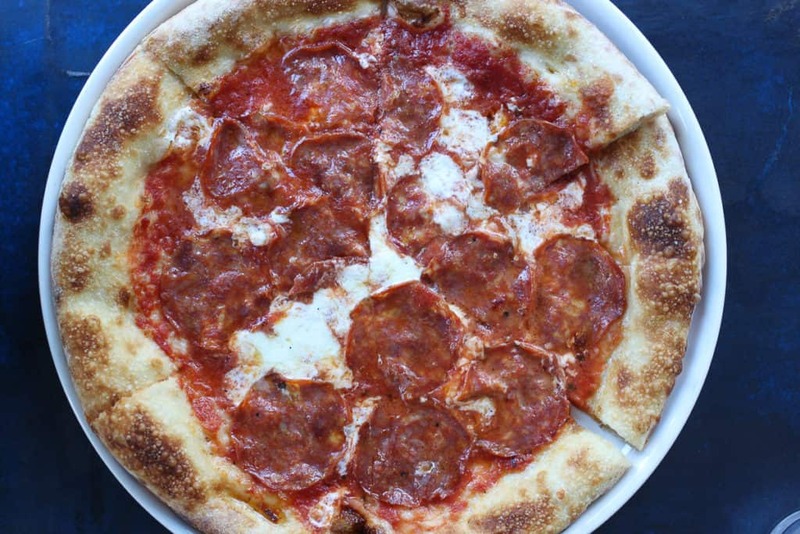 Best Pizza in Salt Lake City– A list of things to do in Salt Lake City wouldn’t be complete without a collection from our favorite food group, pizza. #1 is the best in town! 84. Top 10 Mexican Restaurants in Salt Lake City– Mexican food is always a crowd pleaser, which is exactly why we put together this list of our absolute favorite Mexican eats in the city. 83. 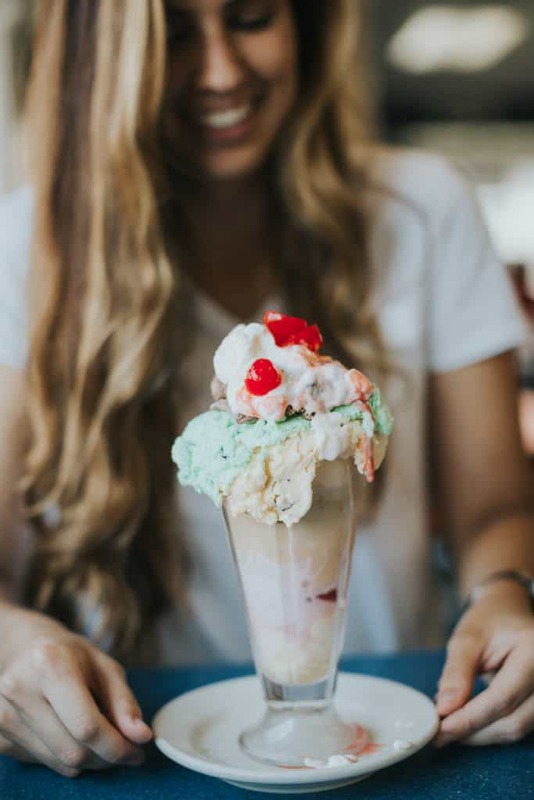 Best Desserts in Salt Lake City– After wining and dining there is nothing better than topping off a great meal with something sweet. Here is our list of top picks for treats in SLC! 82. Best Restaurants in Park City– An often requested list for those who wish to experience food in Park City. We are blown away by the food scene in PC and know that you will be too. 81. Hike To The Living Room– The Living Room gives you some of the best and most easily accessed views of Salt Lake City with a trailhead just 10 minutes from downtown. This moderately easy hike is 2.2 miles out and back. When you reach the top, take a seat and enjoy the rock assembled “furniture” to soak up the views. 80. Hike To The Summit Of Grandeur Peak- While there are several hikes up beautiful Millcreek Canyon, hiking to the summit of Grandeur peak is one of my favorites. This 5.5 mile out and back trail is moderately difficult and steep with breathtaking and rewarding views. 79. Hike To Lake Blanche– The hike to scenic Lake Blanche is a popular route for many locals and visitors for good reason. Lake Blanche, located in Big Cottonwood Canyon, is a 7 mile out and back hike with moderate difficulty and several steep climbs. I’ve done this hike both in the winter and summer, but my favorite time of year to go is in the fall when leaves are changing. The view at the top is unreal! 78. 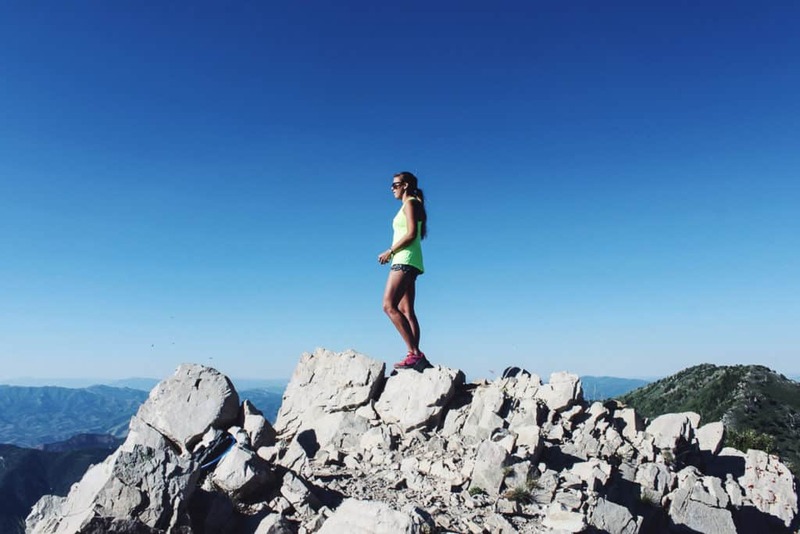 Hike To The Summit of Mount Timpanogos– If you’re looking for an all day hike near Salt Lake City, and my personal favorite of any hike I’ve done in Utah, make sure to check out Mt. Timpanogos. There are two routes to reach the summit, and my preferred is definitely the Timpooneke Trail via American Fork Canyon, totalling a 15 mile out and back hike with gradual climbs and absolutely breath taking views that change along the way (the alternative route on the Aspen Grove Trail is shorter, steeper, and absolutely stunning as well). Be prepared for steep climbing at the end! 77. Go Rock Climbing– The Wasatch Range of mountains attracts rock climbers from all walks thanks to Utah’s several major canyons including American Fork (limestone), Big Cottonwood (quartzite), Little Cottonwood (granite-like quartz monzonite), and Bells Canyon. We really like this post from Visit Utah that outlines some of the best rock climbing spots near SLC. 76. Bike On The Legacy Parkway Trail– The Legacy Parkway Trail is one of my favorite easy bike rides near Salt Lake City. The 14-mile multi purpose trail rides paralell to Legacy Highway and flat. One of my favorite things to do is leave from the trailhead in North Salt Lake and bike to Harmon’s in Farmington and grab lunch in their cafe. 75. Bike To Antelope Island– If you’re looking for some of the smoothest roads near SLC and an excuse to visit a state park, take a trip out to Antelope Island for a bike ride! There are often several buffalo visible from the road (obviously don’t try and touch or come near one). The best paved roads are on the east side and remember to bring $10 per vehicle. 74. Bike And Run City Creek Canyon– One of the closest spots for a run or spin to downtown Salt Lake City is City Creek Canyon. Access this beautiful canyon from Bonneville Boulevard for a paved 5.8 mile path. Available to runners and walkers every day and bikers on odd numbered days. Cars are permitted to go up the canyon on even numbered days. 73. Bike And Run Emigration Canyon– Similar to City Creek Canyon, several runners and cyclists frequent Emigration Canyon for its 2,572 elevation gain over an 8 mile distance. This canyon is one of my first options for a canyon ride because the shoulder on the road is generous and most drivers in this canyon are used to seeing many runners and cyclists. The view at the top is worth climbing for! 72. Take Your Pup to Tanner Park– While some of Utah’s trails and canyons have restrictions for furry friends, there are several places to bring your pup. One of the best and most scenic choices among dog parks in Salt Lake City is Tanner Park. This park leads into a gully with a bridge and creek for pups to play in. Stay cautious of fast moving water in the creek. 71. 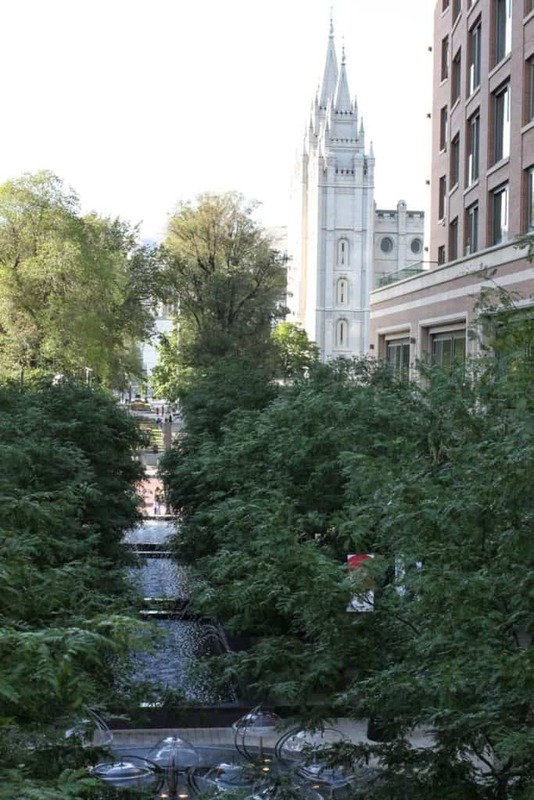 Memory Grove Park– Situated at the base of City Creek Canyon lies Memory Grove Park, a gorgeous memorial to Utah including a fountain, monuments, and a beautifully landscaped area just blocks away from downtown Salt Lake City. Escape here for a picnic, a casual walk, and feel free to bring your pup. 70. Sugar House Park– One of my favorite things to do in Salt Lake City is to spend an afternoon in Sugar House Park. This 110 acre park is not only scenic and breathtaking but has a great paved road that runs for 1.38 miles where bikers, runners, and walkers can enjoy the rolling hills. 69. Liberty Park– When I need a shaded, flat park for cycling or running, I come to Liberty Park. Liberty Park is the oldest park in Utah and its towering trees and beautiful landscape attract hundreds of Salt Lake City locals. Make sure to check out the aviary, two islands, the historic Isaac Chase Mill, and both concrete and soft surfaced walking trails. 68. Red Butte Gardens– Red Butte Garden include a botanical garden, arboretum, and amphitheater operated by the University of Utah, in the foothills of Salt Lake City. Gardens are open to the public each spring and a concert series is held each summer. 67. International Peace Gardens- a collaborative effort of the Salt Lake Council of Women are the International Peace Gardens, a project that was initiated in the 30’s to celebrate different nationalities, organized by garden sections. The gardens are open from dawn until dusk from May through September. 66. Salt Lake City Farmers Market– One of the best things to do in Salt Lake City is to spend a morning or afternoon at the Salt Lake City Farmers Market. Typically open from June through October on Saturdays, this is my favorite place to find fresh, local produce, admire handmade arts and crafts, and enjoy breakfast or lunch from some of my favorite food trucks in SLC. 65. Euro Treasures– If you’re an antique lover and looking for some of the best finds in Salt Lake City, Euro Treasures is the place to be. With over 40,000 square feet of British, American, European and African antiques and collectables there is something for every antique lover here! 64. Emilijayne– For some of Salt Lake City’s best consignment furniture & home decor shopping be sure to stop by Emiliejayne. Located near SLC’s popular 9th and 9th neighborhoods, the chic items found here are adorable and one of a kind. Most items are arranged by color and style- a fun place to go even if you’re just window shopping. 63. Decades– One of my favorite things to do in Salt Lake City is to get lost at the vintage clothing shop, Decades. Their collection of vintage jewelry, dresses, shoes, hats, and handbags is impressive. With reasonable prices and high quality inventory, visiting Decades is one of the best things to do in Salt Lake City! 62. Deseret Industries– A Utah original and one of the most industrial and high volume operated thrift stores is Deseret Industries. Owned by the Church of Jesus Christ of Latter Day Saints, the “DI” takes high quality donations from books to clothing to recreational equipment, and offers all of these goods in their stores at generously reasonable pricing. I also like to support the DI because it assists in funding job training. The associates at DI come from a variety of backgrounds and often need help finding steady employment. 61. City Creek Center– Salt Lake City’s newest and premium shopping offerings are found at City Creek Center- a definite must on your list of things to do in Salt Lake City. This unique shopping environment features a retractable glass roof, a creek that runs through the property, a pedestrian skybridge and more. This world-class fashion and dining destination offers over 100 stores and restaurants including Nordstrom, Macy’s, Tiffany & Co., Michael Kors, Coach, and dozens of restaurants in a casual, pedestrian-friendly environment. 60. Trolley Square– Originally home to the historic trolley station in the 1800s, Trolley Square is one of Salt Lake City’s most popular shopping centers. Offering unique shopping, dining, and entertainment in a charming, historic atmosphere. Trolley Square was registered as a historic site by the state of Utah in 1973, and it was added to the National Register of Historic Places in 1996. 59. Outlets at Traverse Mountains– Nothing speaks to the soul of a marathon shopper more than outlet shopping! Of the two nearest options to Salt Lake City, the Outlets at Traverse Mountains are the newest and house some of my favorite factory stores including Banana Republic, Columbia, Le Creuset, Nike, and so many more! 58. Tanger Outlet at Park City– Although Lehi is the newest and freshest, there is something so nostalgic I love about the outlets at Park City. And to top things off world class skiing, dining, and so many things to do are nearby. Favorite factory stores here include J. Crew, Nike, and Eddie Bauer. 57. Skiing in Ogden Valley: Snowbasin Resort– One of my favorite spots in Utah because it’s where I originally learned how to ski. With its 3,000 skiable acres and 3,000 verticle feet this pristine mountain in Weber County is often described as a well kept secret. 56. Skiing in Park City: Deer Valley Resort– Many locals and loyal tourists choose to ski at Deer Valley thanks to their six different snow covered mountains (Little Baldy Peak, Bald Eagle, Bald, Flagstaff, Empire, & Lady Morgan), guest services that are unparalleled, and some of the best resort dining in the entire state. 55. Skiing in Little Cottonwood Canyon: Snowbird– Snowbird Ski & Summer Resort has been a Salt Lake City fixation since 1971. Originally with three lifts, The Tram, and two lodges, Snowbird has since expanded to over 11 trams and lifts, half a dozen on site lodging locations, and is now home to hundreds of thousands of skiing crazed locals and tourists annually. 54. 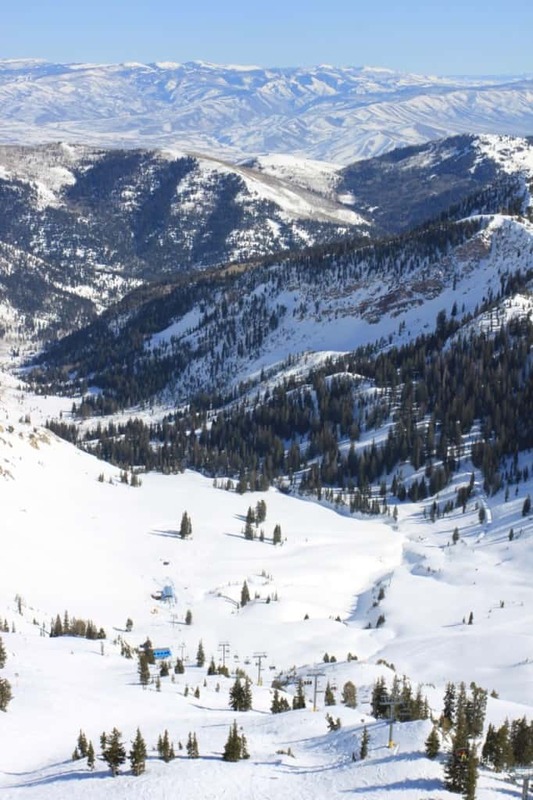 Skiing in Provo Canyon: Sundance Mountain Resort– Just a 15 minute drive northeast of Orem in Utah County, this beautiful mountain resort sits against the ever popular Mountain Timpanogos, with views that will stun you from even the parking lot as you pull up. With over 42 runs, 450 acres of skiable terrain, and premier resort dining, we are absolutely smitten by Sundance! 53. Cross Country Skiing– Although most people think of downhill skiing when it comes to things to do in Salt Lake City, a true hidden gem is nordic or cross country skiing! Whether you are a beginner or avid backcountry skier, there is something for everyone. And best of all, the skiing is very accessible so you aren’t spending all your time driving. 52. The Road Home– The Road Home relies on volunteers to help provide programs and services to individuals and families in Salt Lake City who are working to overcome homelessness. Volunteers assist with a variety of projects, from weekly programs to dinners, eagle projects and kid’s activities. We have volunteer opportunities for individuals & groups. 51. The Ronald McDonald House-A Ronald McDonald House is that “home-away-from-home” for families so they can stay close by their hospitalized child at little or no cost. The house is built on the simple idea that nothing else should matter when a family is focused on the health of their child. 50. Primary Children’s Hospital– Volunteers at Primary Children’s Hospital are an important part of the hospital’s goal to deliver the highest quality care for children. Volunteers at PCH come from diverse backgrounds, ages, interests, skills, and professions. 49. Volunteer At A Local Race- There are several races in Salt Lake City that are always looking for volunteers. Some of my favorites include the Salt Lake City Marathon (April), the Ogden Marathon (May), and the Deseret News Marathon (July). 48. Eccles Theater– Salt Lake City’s newest theatre downtown is the Eccles Theatre, featuring a 2,500 seat Performance Hall, an intimate black box theater, event and rehearsal spaces, a 6-story grand lobby, an outdoor plaza, and a galleria. The new theatre showcases Broadway shows, concerts, comedy and other popular entertainment events. 47. Capitol Theater– The Janet Quinney Lawson Capitol Theater has been a part of Salt Lake City since 1913. Performances vary throughout the year including theater, dance, opera, music, vaudeville and film. 46. Abravanel Hall- Renowned for its immaculate acoustics and architectural splendor, Abravanel Hall is one of Salt Lake City’s top locations for performances in the city, including the Utah Symphony. This should definitely be on the top of your list of things to do in Salt Lake City. 45. Pioneer Theatre Company– Started in 1962, this professional theatre is situated in the heart of the University of Utah campus. 7 plays are performed each season at Pioneer Theatre including classics, musicals, dramas, and comedies. 44. Hale Center Theatre– This family-owned business is beloved by locals for showing some of the absolute best professional family theatre you will ever experience, especially in their beautiful new location in Sandy. Each season has usually 12 different shows throughout the year. 43. Broadway Centre Theatre– Operated by the Salt Lake Film Society, the Broadway Centre Theatre is my favorite place to go in Salt Lake City for foreign and indie films. They also have one of the most eclectic concession selection stands of all the SLC movie theaters. 42. Wiseguys Comedy Club– One of the few chances you’ll get to see live comedy in Salt Lake City is at Wiseguys Comedy Club. Located at The Gateway Mall, you can check out their calendar to see a full event schedule. 41. The Leonardo Museum– One of the most unique experiences in Salt Lake City is to visit the Leonardo Museum for their array of exploration through science, technology, art, and creativity. Exhibits are frequently changing in the museum and popular past favorites have included the Dead Sea Scroll and Body World. 40. Utah Museum of Fine Arts– Located on the University of Utah campus, the “UMFA” is a hub for global visual arts. It is Utah’s only visual arts institution that collects, exhibits, interprets, and preserves a comprehensive collection of over 5,000 years of art from around the world. 39. Utah Museum of Natural History– An architectural beauty itself, this museum also housed on University of Utah campus. The Utah Museum of Natural History aims to provide high quality science education, engage students, and maintain its status as a sustainable institution. 38. The Depot- Several Utah events are held regularly at The Depot, a 4-story venue downtown. This is a great spot for medium sized concerts, providing a more intimate and up & close experience for spectators. 37. Garage on Beck– Bring your I.D. to enjoy delicious comfort food and live music at The Garage, an auto repair shop transformed into a restaurant & bar. Live performances typically run Thursday- Saturday and are updated online regularly. 36. Bountiful Ridge Golf Course- One of the best places to golf in the Salt Lake Valley for beautiful views at a reasonable price is Bountiful Ridge. Although open for a better part of the year, locals prefer to golf this course in the fall. 35. Topgolf– For the ultimate golfing experience, rent a bay at Topgolf with friends where you can golf, enjoy delicious food, and leave behind the frustration of 9 holes. This new location in Midvale is often busy- plan to visit early or on a week day. 34. Bonwood Bowl– For truly one of the most entertaining experiences in Salt Lake City, spend an evening bowling at Bonwood Bowl. This SLC alley provides bowling at reasonable rates with some of the best people watching in town. 33. The Hogle Zoo– This 42-acre zoo located in the foothills of Salt Lake City is a classic experience. With over 800 animals, zoo classes, and lights during Christmas time, the Hogle Zoo is a great place for families and one of the best things to do in Salt Lake City. 32. Sundance Film Festival (Jan)- Started by Robert Redford in 1978, Sundance is currently the largest independent film festival in the United States. Locals and tourists (celebrities included) come from all over the world to take part in this epic Utah experience. 31.University of Utah Gymnastics (Jan-March)- The University of Utah gymnastics team otherwise known as the Red Rocks are one of the best in the nation and attending one of their meets is an absolute experience. Visit the online calendar for event date/times and ticket pricing. 30. Banff Film Festival (Feb)- Although the original Banff Film Festival is enjoyed in Canada each year, the tour of some of the festival’s highlights are shown each winter at the University of Utah and other Salt Lake City locations. 29. Flowers at Temple Square (March-Oct, dependent on weather)- several people come near and far to enjoy the beautiful and iconic flowers at Temple Square. The 35 acres of Temple Square gardens have 30 full time gardeners, and approximately 25 part-time gardeners varying by season. 28. Real Salt Lake (March-October)- Any true soccer fan in Salt Lake City will tell you that seeing a Real Salt Lake game is a must! Be prepared for an exciting game as you watch this professional team battle their way through every season alongside loyal and die-hard fans. 27. Thanksgiving Point Tulip Festival (April-May)- For an authentic tulip experience, enjoy 280,000 tulips at Thanksgiving Point in hundreds of varieties, all imported directly from Holland each spring. 26. Salt Lake Bees (April-Sept)- Watching Salt Lake City’s minor league baseball team, the Bees, is one of the more popular things to do in Salt Lake City in the summer months. Regardless of how the team’s doing, it’s always fun to enjoy a game with great company and often times fireworks. 25. Red Butte Outdoor Concert Series (May-Sept)- Hosted at the University of Utah’s Red Butte Gardens, some of the best music that comes to Salt Lake City is showcased in this annual series. 24. Concerts at Brigham Young Historic Park (Jun-Aug)- Enjoy free concerts in the heart of downtown Salt Lake City at the Brigham Young Historic Park featuring various performances from Broadway to barbershop, to bluegrass to Irish step dancers. 23. Days of ’47 (July)- Each year Utahns celebrate the establishment of this great state on the 24th of July. Various activities are organized to celebrate the event including a rodeo, pageant, marathon, and parade. 22. Twilight Concerts (July-Aug)- Produced by the Salt Lake City Arts Council, this annual outdoor concert series attracts primarily youth and young adults showcasing popular and local artists. 21. 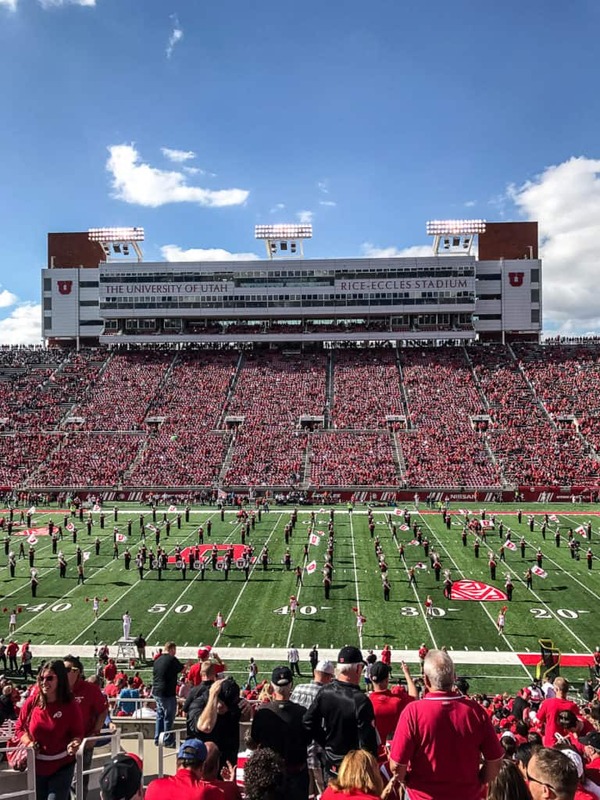 University of Utah Football (Aug-Nov)- One of the best things to do in Salt Lake City is to attend the University of Utah football games at Rice-Eccles Stadium. Recently adopted into the Pac-12 Conference, the Utes compete with other NCAA Division 1 schools during the fall each year. 20. TedX (Sept)- The ever famous Ted Talks have made their way to Salt Lake City in an annual fall event. TedX, the x meaning an independently organized event, showcases speakers who present on “ideas worth spreading”. 19. Comic Con (Sept)- Salt Lake City is often busy downtown with convention attendees, and the participant list at Comic Con seems to grow larger and larger each year. If you haven’t been to Comic Con before, you can anticipate seeing comic creators, celebrities, and authors with several attendees dressed as their favorite comics. 18. The Utah Jazz (Oct-April)- The Utah Jazz, Salt Lake City’s professional basketball team, compete each year as part of the NBA’s Western Conference Northwest Division. The large Vivint Smart Home Arena houses nearly 20,000 where local spectators come to enjoy their team play. 17. Temple Square Christmas Lights &Candy Windows at ZCMI (Nov-Jan)- One of the most popular things to do in Salt Lake City during the holiday season is visit the lights at Temple Square. For over 50 years, the Church of Jesus Christ of Latter Day Saints has adorned their temple grounds with thousands of stunning Christmas lights to celebrate the birth of Jesus Christ. After your stop at Temple Square make sure to cross the street and visit hand made Christmas displays created with candy at Macy’s, a tradition started in the 1970’s at the historic shopping center previously known as ZCMI. 16. University of Utah Basketball (Nov-March)- U of U basketball is a popular attraction for college basketball fans each spring. Their home court, the Jon. M. Huntsman Center, seats 15,000 spectators who love cheering on the Running Utes. 15. Ice castles in Midway (Winter, dependent on weather)- Just an hour drive from Salt Lake City lies The Homestead, a small town in Midway which hosts a popular ice castle attraction each winter. This event is without question of of the most noteworthy things to do in Salt Lake City during winter months. 14. 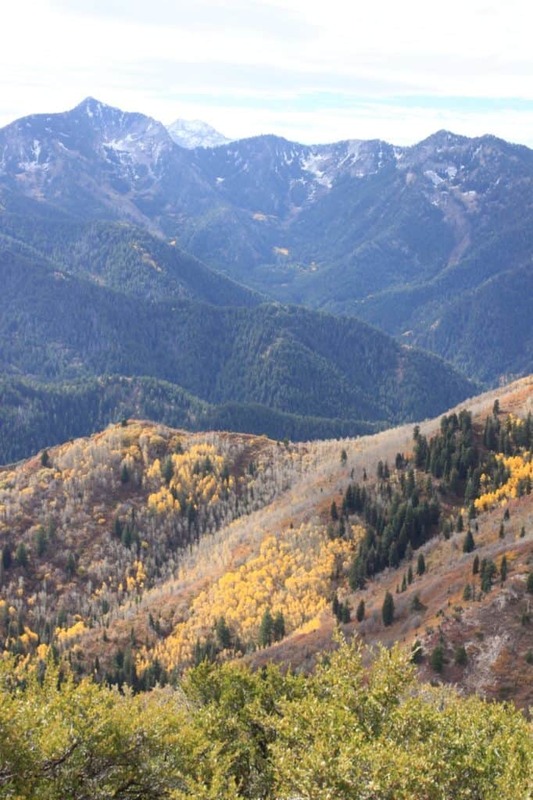 Emigration Canyon– With significant Utah history and gorgeous views, Emigration Canyon is a beautiful and short drive from Salt Lake City with an overview of Parley’s Canyon from the top and definitely one of my favorite things to do in Salt Lake City. 13. 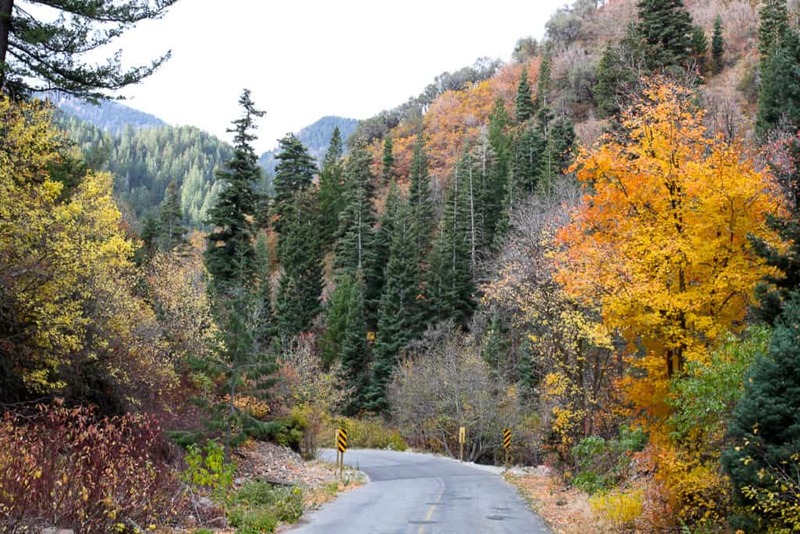 Millcreek Canyon– Accessed from the Millcreek neighborhood in Salt Lake City, Millcreek Canyon provides a beautiful drive passing several trailheads, two restaurants, picnic areas, and a variety of beautiful plants and trees. 12. Big Cottonwood Canyon– One of the prettiest things to do in Salt Lake City is to take the journey from the base of Big Cottonwood Canyon all the way to the top, where you can walk around Silver Lake on a popular boardwalk. For spectacular views extend your drive to Guardsman Pass. 11. Little Cottonwood Canyon– A stunning contrast to Big Cottonwood Canyon, Little Cottonwood Canyon features terrific views of several plant species and an abundance of granite. 10. Alpine Loop– Although this drive is the farthest distances from Salt Lake City on this list, it is unquestionably one of the most beautiful. 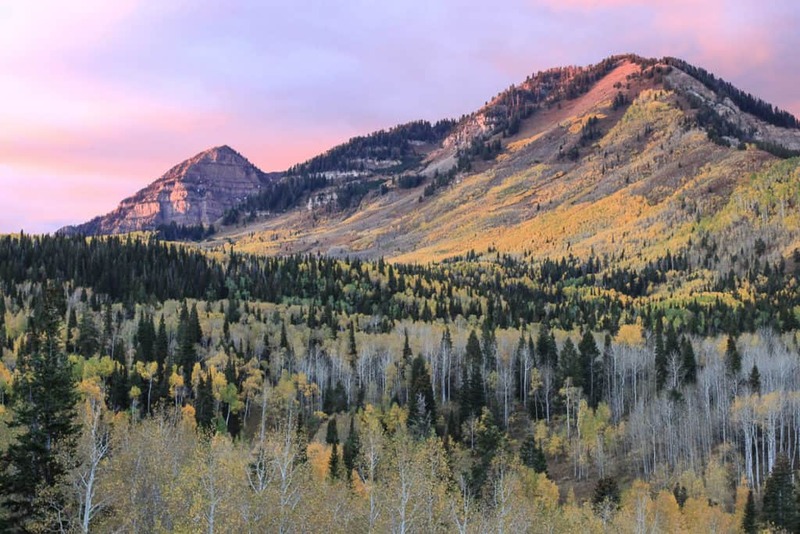 The Alpine Loop is a 20-mile drive crossing over from American Fork Canyon to Provo Canyon with some of the best views of one of Utah’s premier hiking destinations, Mt. Timpanogos. 9. Spiral Jetty– For those interested in seeing a man-made earthwork sculpture on the northeastern shore of the Great Salt Lake, the Spiral Jetty is the perfect option. Prepare for a lengthy drive of 2+ hours from Salt Lake City to see this marvel. 8. Cooking Classes at Harmons– One of the most unique and fun things to do in Salt Lake City is to complete a hands on cooking class at Harmons. Check their online calendar to find different cooking classes near you. 7. Visit the Original Kentucky Fried Chicken– The rumors are true, Colonel Harland Sanders indeed opened his first franchise in Utah in 1952. You can visit the original location to the world’s second largest chain restaurant at 3900 South and State Street. 6. Salt Lake City Public Library– Salt Lake City’s gorgeous main library, designed by internationally-acclaimed architect Moshe Safdie, is located in the heart of Salt Lake City and houses more than 500,000 books. 5. Gilgal Sculpture Garden– For a unique art experience while looking for things to do in Salt Lake City, visit the Gilgal Sculpture Garden, with 12 original sculptures and over 70 stones engraved with scriptures, poems, and literary texts displayed throughout the garden. 4. FrontRunner– Spend an afternoon riding parallel to interstate 15 on Utah’s Commuter Train, FrontRunner. Ticket pricing, route, and schedule available online. 3. Visit the Largest Costco in the World– This members only warehouse that sells in bulk just got bigger in 2015, now serving customers as the largest Costco in the world with 235,000 square feet. 2. Watch The Sunset In The Avenues– See one of Utah’s best gems by watching the sun set over the Great Salt Lake. Although there are several great view points throughout the city, several SLC locals prefer to enjoy from a view from city section of the Bonneville Shoreline Trail, accessed via The Avenues neighborhood. 1. The Grand America Hotel– One of the most luxurious things to do in Salt Lake City’s is visit The Grand America Hotel, SLC’s only 5 star hotel. Spend a day at the spa, relax by the pool, or dress up and go to their afternoon tea with friends. An amazing post Brooke! You exemplify the “love where you live” motto!! I will be referring many friends to your list! Thank you! Thanks for putting this together! My husband and I are working our way through your food bucket list of utah and I loved how I can print it off and check it off. Is there a way to print the 101 things to do list as well? Thanks! Hi Chelsea- you are so welcome! I am happy to hear that you’re enjoying the SLC bucket list! I don’t at this time have a check list for this post but I’ll definitely let you know once I have one. Thanks for the great idea! This is a great list. 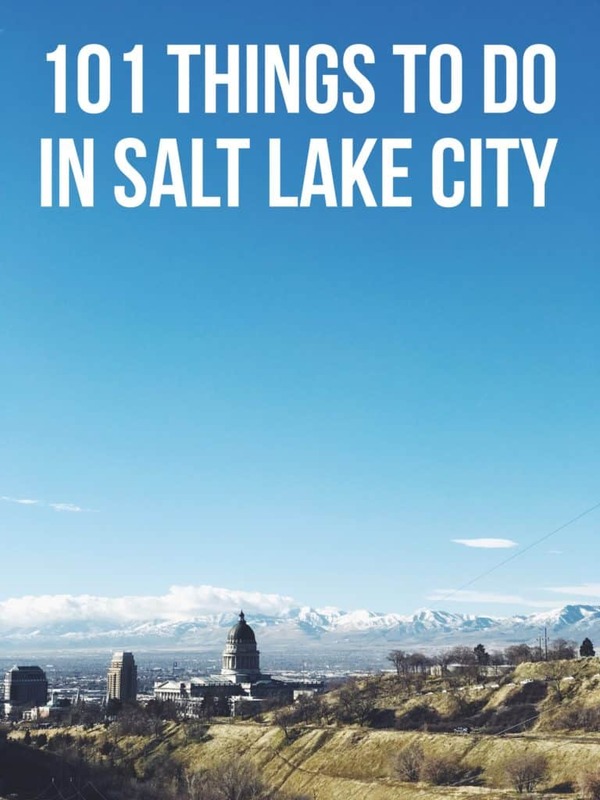 As someone who works for a Salt Lake City sightseeing tour company we are asked all the time about recommendations and while I know about a lot of these, there are some new ones. By the way our tours go to many of these places. Maybe consider linking to us? Hi AnnaLaura! Thank you so much for your kind words! I wanted to keep this post really organic and things that I’d naturally recommend, so unfortunately I won’t be linking to tour guide companies, but if anyone asks for a tour company I’ll definitely send them your way. Thanks! I am moving to SLC in a week and this was SO helpful! I can not wait to try many of these suggestions and I am thankful you took the time to create this blog post. Hi Rachel and welcome to Salt Lake City! I hope that you find these suggestions helpful! Let me know what your favorites are! You are so welcome- thank you Kristen! Outstanding site!!! Job well done and thanks for the great information, I will be visiting in June and needed to do some research. Have book marked some restaurants now and places to see. Thank you so much Sean! I am happy that I’ve helped with your visit in June- let me know what your favorites are! It seems that Puppies for Rent has unfortunately closed. Aw what a bummer! Thanks Hannah I’ll have to update it. This is such a great list–so comprehensive. I really like how you’ve divided it into sections. I’ve lived here almost all my life but just had a friend come in from out of state who made me realize I had no idea what there was to do around my own home! Thank you so much for putting it together! Hale Center Theatre should definitely be added to this list–especially with their beautiful new building in Sandy.